The historic 7 Mile House is hosting Kearny Street Workshop for a special fundraising event celebrating Women’s History Month. 10% of proceeds will go to KSW, so come have yourself a meal at this award winning family (and dog-friendly) restaurant! We’ll be featuring special performances by APAture 2018 standouts, Kin and Gala, along with a debut performance by youth singer-songwriter, Jaeya Bayani. Also, we’ll be premiering our limited edition RAD AZN WMN Coloring Book featuring illustrations by some of the most exciting local femme and non-binary illustrators and artists. Born in Morocco to Filipino migrants, KIN was raised in Canada, Malawi, Kazakhstan, and Northern California. She is currently based in Oakland, CA. A child of the Pacific at heart, KIN’s latest release, Water, is a shimmering invocation of wayfaring ancestors. It’s music for trying to find your place in an ever-shifting world. She weaves South-East Asian percussion with lush electric guitars and unexpected harmonies to create feel good Indie Soul/Pop. 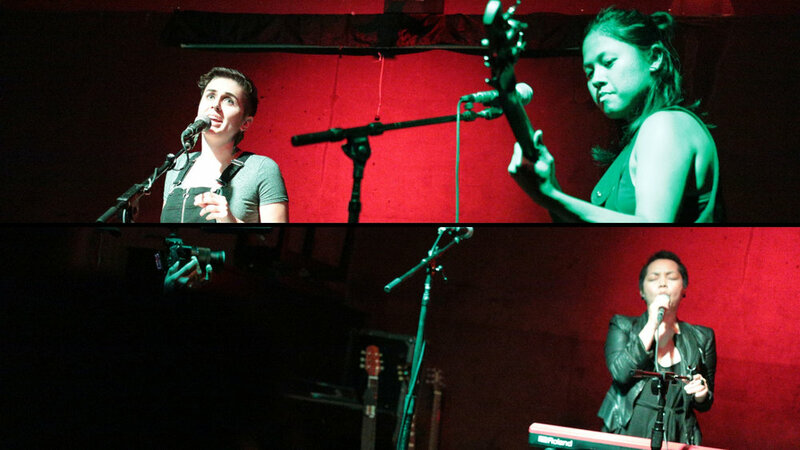 Gala (pronounced: GAH-LAH) is an acoustic indie folk-pop trio based in Oakland, CA with Roots in Chile, Guam, & the Philippines. Their music deals with themes of migration, justice, heartache, and resilience. Gala’s sound is magnetic, transportive, and tender often inspired by a long tradition of Chilean and South American folkloric music. Jaeya Bayani was born in Fremont, CA. She is currently a student at Lowell High School. She has served as a youth counselor in training for the San Francisco Mayor’s Youth Employment and Education Program and is a UWC-USA alumni. Influenced heavily by 90s R&B, Jaeya creates smooth and soulful music to chill and relax to. 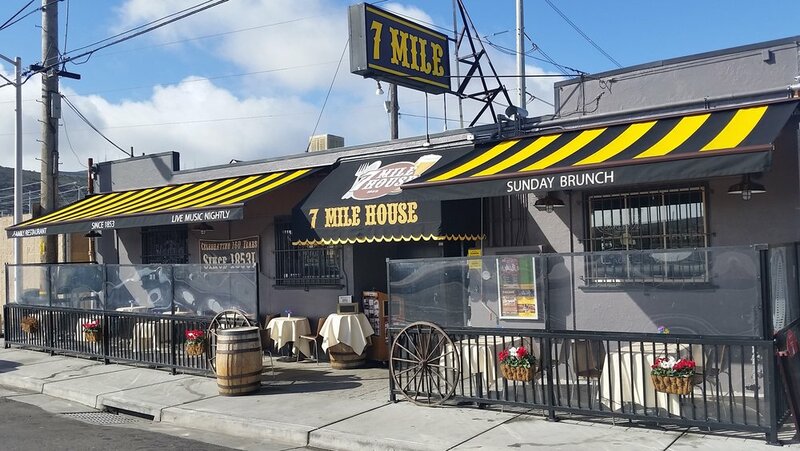 About 7 Mile House: Established in 1858, the historic 7 Mile House is an award-winning, family and dog-friendly restaurant, sports bar, and live music venue, serving up a unique mix of homestyle Italian/American/Filipino food. Located in the San Francisco/Bay Area for 160 years, 7 Mile House is the only mile house left standing in its original location; and has a colorful history from its rebel days in the 1800s, to a trucker/biker hangout, and an infamous sports gambling joint in the 80s. Today, they are the most popular restaurant and bar in the neighborhood boasting great food, drinks, sports via satellite and live entertainment every single night.